Back in London after nearly a month in Lisbon. Delighted to be back to a copy of Suzanne Mustachich's much acclaimed and award-winning Thirsty Dragon. 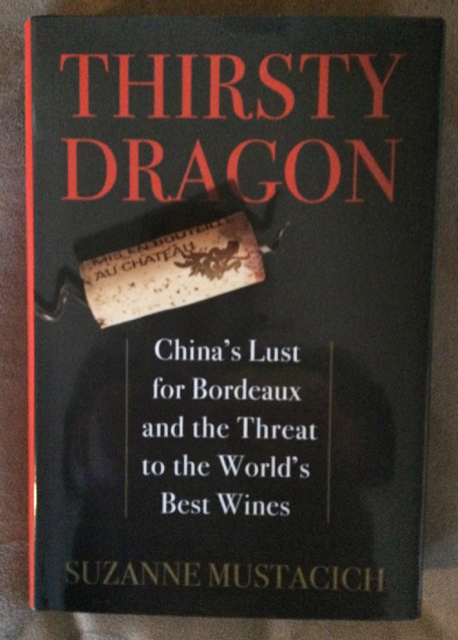 I have just started the opening chapter and am confident that I will be enjoying reading the rest as well as learning about China and its relations with the West, especially the top wines of Bordeaux. A fuller review will follow. After a windy night this morning was brilliantly clear – able to see Alexandra Palace and well beyond from Forest Hill.